ALPHAEON Patient Financing offers affordable payment options so you can be on your way to a better you! Interest will be charged to your account from the purchase date at an APR of 9.99%-23.99% depending on your credit, however all interest paid is credited back to your account if the balance is paid in full within 12 months. Interest credits require you to make on-time payments and otherwise comply with the account agreement. 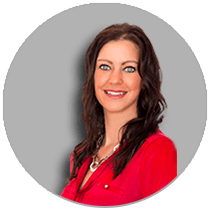 Roxy O'Bryan is a well respected provider with extensive training and is highly skilled in the aesthetic field. With over 22 certifications for various aesthetic lasers, she has truly transformed countless individuals over the years to gain back their confidence and youthful appearance. I recently had coolsculpting done and I had a great experience. Both the owners were very attentive while I was there..and received follow calls right after the procedure and six weeks after for my follow pics.. There was a noticeable difference and I am having a couple more areas done.. Thank you Rejuvenation on the Rox...I will be back!! I saw Roxy on television and was looking for the right fit for me and my needs. I loved how the interview went and the fact that they are not a chain and a part of the BBB. The ladies and service here are wonderful. I have been a patient of Roxy O'Bryan's for several years, and she continues to be knowledgeable and provides the latest in aesthetic technologies. She puts you at ease, and the clinic is a fun and relaxing environment! Highly recommend. *In the U.S., the CoolSculpting®procedure is FDA-cleared for the treatment of visible fat bulges in the submental area, thigh, abdomen and flank, along with bra fat, back fat, underneath the buttocks (also known as banana roll), and upper arm. It is also FDA-cleared to affect the appearance of lax tissue with submental area treatments. In China, the cryolipolysis system is used for fat layer reduction of the abdomen and flanks. In Taiwan, the CoolSculpting procedure is cleared for the breakdown of fat in the flank (love handle), abdomen, and thigh. 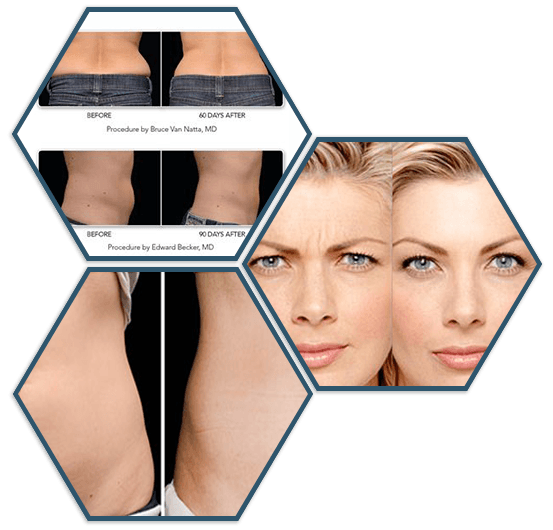 Outside the U.S., China and Taiwan, the CoolSculpting procedure for non-invasive fat reduction is available worldwide. CoolSculpting® and its design are trademarks of ZELTIQ Aesthetics, Inc., an Allergan affiliate. CoolSculpting is the treatment doctors use most for non-invasive fat removal.